The pastor of this new church in Plymouth, Mass. wanted stained concrete floors like he saw in another church. We explained that no two concrete floors stain alike. We stained and sealed a sample area for approval, (we got his blessing). He chose our water based concrete dye/stain, (color: “Sand”). 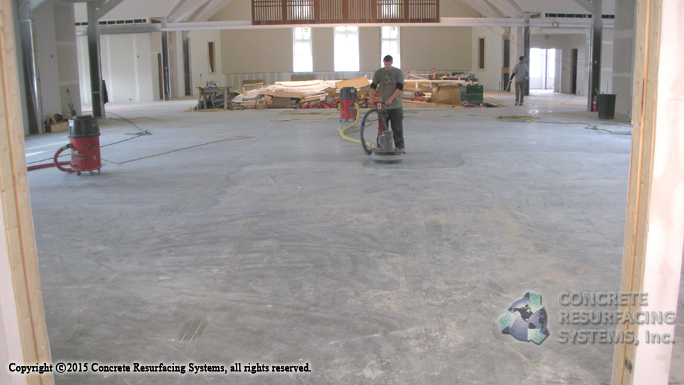 To start, we ground the floor to remove construction debris and open the pores in the concrete. Next, we applied our concrete dye/stain, followed by two coats of a water based clear epoxy. 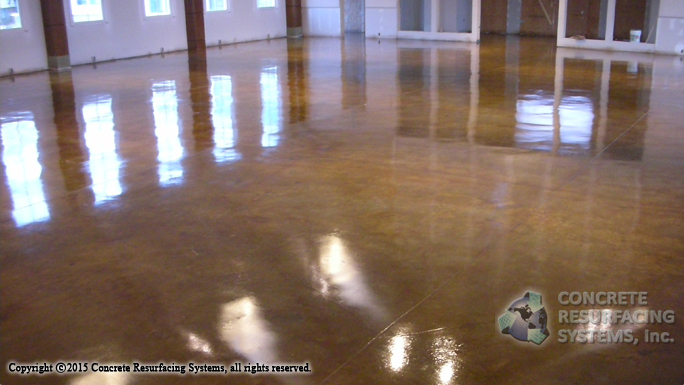 This low maintenance stained concrete floor is ready for service. 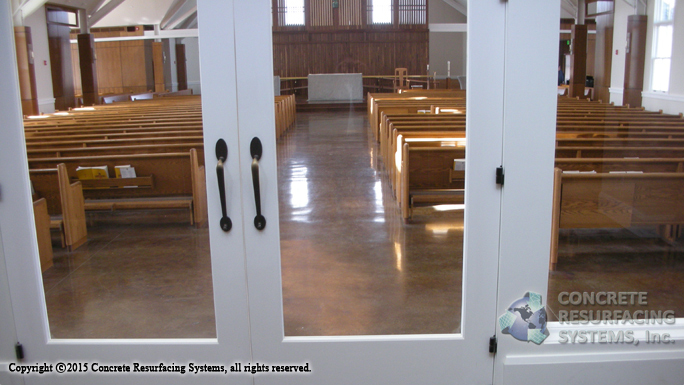 Do you need new flooring for a large hall, church, temple, or other meeting place? 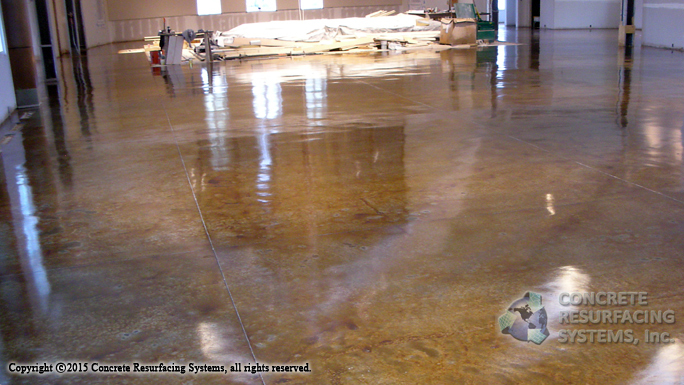 Why not let Concrete Resurfacing Systems install a seamless, resinous floor system — we can do acid stain / dye, and many other types of epoxy / urethane flooring to meet your needs — and your budget.